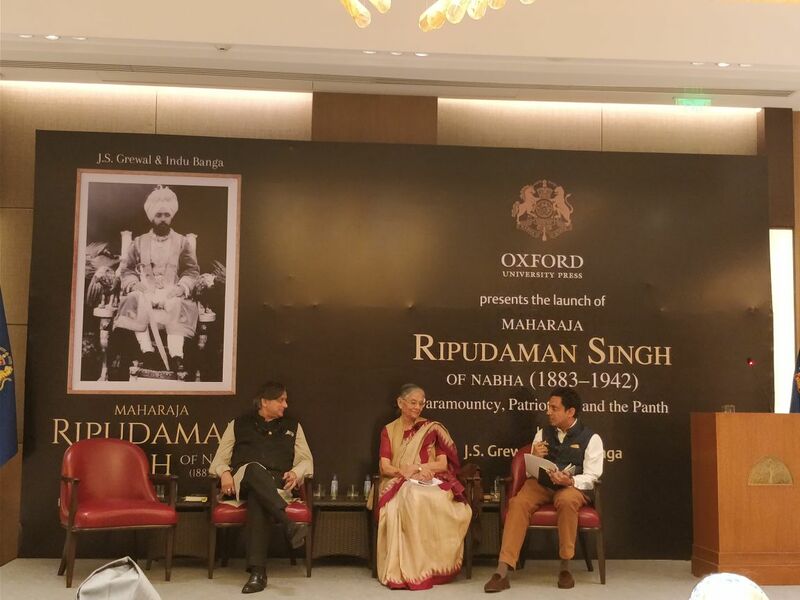 New Delhi: Oxford University Press, the world’s largest university press, along with Maharaj Kumari Jeet Nabha Khemka and Nand Khemka has launched the new book named as ‘ A political biography of Maharaja Ripudaman Singh of Nabha’ written by Prof. J.S. Grewal and Prof. Indu Banga. The book was launched in the presence of Shashi Tharoor, Member of Parliament and Prof. Indu Banga, Professor Emerita of History, Panjab University, Chandigarh. Maharaja Ripudaman Singh of Nabha (1883–1942) was an exceptional ruler, a princely ‘rebel’ who resisted the paramount power in different ways. Forced to abdicate in 1923 ostensibly on account of ‘maladministration’, Ripudaman Singh was sent to Kodaikanal in 1928, where he died after 14 years in captivity without any recourse to judicial appeal. Set against the backdrop of Indian nationalism, Sikh resurgence, and British paramountcy, J.S. Grewal and Indu Banga trace the Maharaja’s political career, revealing the devious ways in which the paramount power dealt with traditional nobility. They explore his career, education, and upbringing to explain his ideological stance, appreciation for Indian nationalism, and his active involvement in the Sikh reformist movement. J.S. Grewal is former professor and vice chancellor of Guru Nanak Dev University, Amritsar, India, and director and later chairman of the Indian Institute of Advanced Study, Shimla, India. Indu Banga is professor emerita of history, Panjab University, Chandigarh, India, and was professor of history at Guru Nanak Dev University, Amritsar, India, from 1982 to 1990.